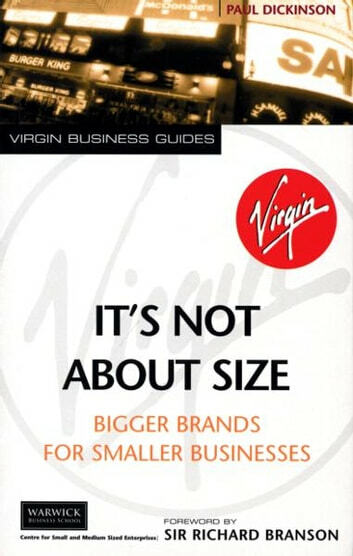 As one of Britain's best-loved brands, Virgin is synonymous with enterprise and business know-how. This series of inspiring and practical business guides has been created with the help of Warwick Business School, one of the world's leading teaching and research instituions in the field of business and management. Warwick's Centre for Small and Medium Sized Enterprises has internationally acclaimed expertise in the subject of entrepreneurship, gained by working closely with start-up and growth-seeking companies, focusing on their practical needs. Branding is one of the most important aspects of marketing for any enterprise. In this straightforward and captivating guide, Paul Dickinson who has worked to define some of the biggest brands in the world, shows how an eye for detail and design can help to re-energise any company or organisation. In this book, you'll find out how simple brand identifiers like colour and 'feel' can make powerful statements about your company, no matter what its size. Paul Dickinson shows how to change the way you think about your company's identity, and how to take simple steps to increase your sales and profits through effective branding and enhanced customer satisfaction. Fascinating case studies demonstrate how the theory has been turned into practical steps - and checklists and action plans will enable you to do the same.